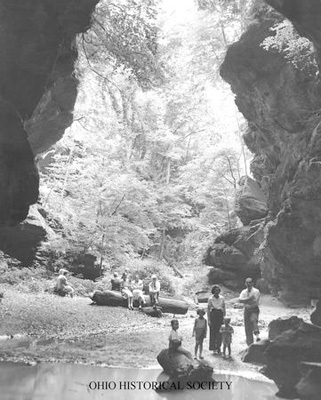 Hikers in Conkles Hollow, Hocking County, Ohio, June 1939. Conkle's Hollow is part of the Hocking Hills State Park near Logan, Ohio. It is one of Ohio's most popular natural history attractions.